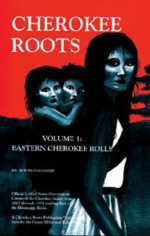 I am told I have a full blooded great great grandmother of Cherokee heritage. Hitting blocks with Ancestry. I may have found her or a relation today. Josie McConnell (Chucuerlate) is a possible connection as grandmother’s maiden name. Thank you! Wado! I live in WNY and am unsure which region to choose from.